Walt was licensed as a Novice in 1959 as WV6HUR. His introduction to radio was a 40M dipole, single tube oscillator/transmitter and an entry level Heath receiver. He subsequently upgraded to WA6HUR and in the 80s to the call of N6XG. He is a member of the Northern California Contest Club. He has degrees in Engineering, Mathematics and Business Management. Walt in his 24 years at IBM had the good fortune of living and operating in Germany and Japan. In Japan he was licensed as 7J1AAM. Subsequent to IBM he was the head of a large electronic contract manufacturing company. Upon his retirement in 2000 he has travelled and operated extensively throughout the world on vacation style DXpeditions. 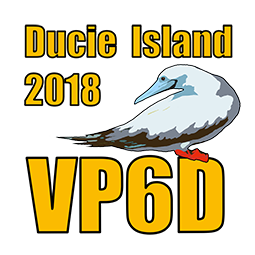 In 2001 he joined “Team Vertical” and has been on five Dxpeditions to 6Y, 2 DXpeditions to C6 and TX3X. Walt’s current interests are contesting, physical fitness, travel, and business consulting. He lives in Los Altos Hills, CA with his wife.